Are you on Facebook? Well as of this weekend, True Expression Photography is now on Facebook! 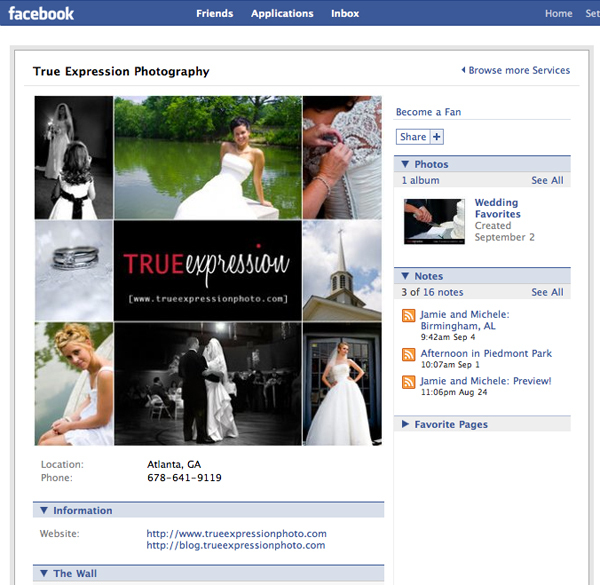 Yesterday, I decided to create a Facebook fan page for True Expression Photography. So, if you are on facebook, click here to check out the new page and become a fan. You can also click on the Facebook image on the right, which will bring you directly to our page. And here's the best part: you will be the first to know about any promotions I am running and be eligible for discounts and giveaways exclusively for Facebook fans. It is a great way to stay on top on the latest news! Cool project - I haven't set one up yet but I need to. We're on facebook just not like this. Very good!